I donated about an hour or two of my time improving questions (and a few answers) here. I removed words from titles that aren't allowed. I fixed spelling problems in titles. These edits improve both readability and searchability. By removing superfluous material, we eliminate noise, and focus specifically on the subject matter at hand. I'm both a programmer and an author on technical subjects. I have charged around $100 an hour for my services, and I expect that to continue increasing. I have a reputation of over 10,000 on StackOverflow. I also have a masters degree. These edits are objective improvements, and most of the reviewers recognized this, many were accepted earlier in the day. However, I had one or two mods robo-reject my edits starting in the early evening yesterday. "This edit does not make the post even a little bit easier to read, easier to find, more accurate or more accessible. Changes are either completely superfluous or actively harm readability." For a mod to apply this message in rejection of all my edits is completely incorrect, and it sends the message that ServerFault does not want to improve the material on this site. I know this is incorrect. 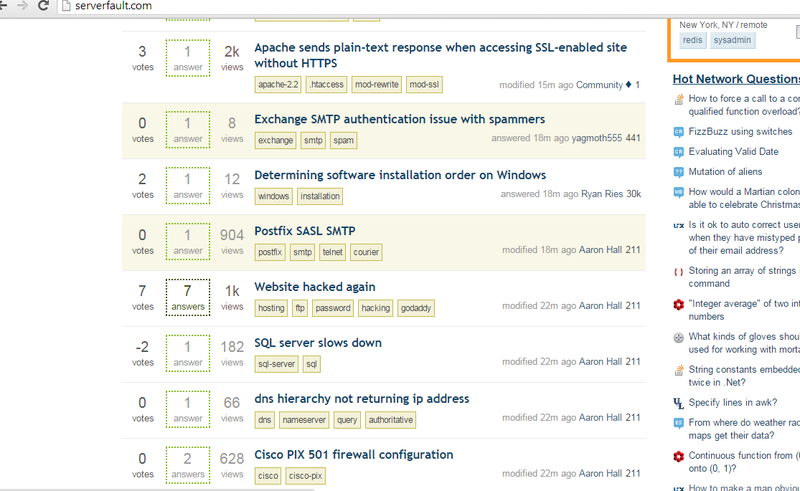 ServerFault indeed does want to improve the material here. Then why reject my edits? Clearly the moderator is at fault here, and should have his review rights revoked for some period, perhaps 2 weeks, so that he can think about what he did wrong. I do know that reviewers have the option to edit further and even mark the edit as unhelpful if it so deserves. That that did not happen (as far as I know) tells me that the reviewer saw nothing that could further be improved, or again, was robo-rejecting. As someone who approved a good lot of your last batch of edits, I'm in total agreement with the users who rejected subsequent ones, and for the reasons mentioned. I personally stopped after a while, for not wanting to flood the front page with old content that had been edited slightly. If anything, you got a bunch robo-approved before my brain switched on and I thought about it for a second. Pushing new content off the "active questions" view (which is what most people use, for some reason) is bad, especially for minor things like removing signatures and "thanks" and such. To be fair, I did the same thing when I was new, but stopped when one of the mods told me to knock it off (and why). If you still want to make these minor improvements, space them out. What I would recommend, and what I ended up doing, is only submitting two an hour. With tabbed browsing, you can always binge on edits and leave them queued up in tabs, and come back to them from time to time to hit submit. Same effect, with none of the downside, and a lot more likely to get your edits approved to boot. I was one of the people who rejected many of your edits (and approved others). Namely, any edit that consisted solely of removing the word "Thanks" at the bottom got a no. In one case, you'd removed contractions (changed "I'm" to "I am") in order to have the minimum number of characters changed, I assume. It was my opinion that those edits were not good enough to deserve approval. I did, however, approve edits that had substantive improvements, and was inclined to say yes to edits of truly ugly subject lines where those were the only edits. Subject lines are highly visible. I was also, admittedly, annoyed by the edit queue having at one point something like 37 items by you that were solely removing the word "Thanks." I looked at all of them, went off to answer some questions, and came back to discover that you'd flooded the edit queue again. My assumption was that you'd searched the site for all instances of the word "Thanks" so you could get some editing-related badge. I think the moderator was right to reject all of your edits, but for different reasons. Personally I don't have a problem with the occasional minor edit such as these. The big concern is pushing new content off the front page. If one or two of these comes through, not a big deal. When nearly 100 of them come through all at once, as in your case, if they're approved then our front page is utterly ruined, at least for a while. At the moment we don't have a good solution for this. The selected reject reason isn't ideal, but we didn't have any say in the removal of the previous "too minor" reject reason, and it's understandable that one might not want to type in a custom reason for dozens of suggested edits that need to be cleared out. Taking a look at your account, you have exactly zero reputation from asking or answering questions, the primary reason we are here. These factors concern me, because it seems to indicate that you might be trying to use mass suggested edits to artificially inflate your reputation. This has happened before, and it's rarely well-received. This is not to say that that was your intention in this particular case, but it is a possibility that will be considered when reviewing a large number of edits. Had you submitted one or two such edits, I doubt you would have had a problem getting them approved. But you didn't just happen to spot some bad grammar in a post you were reading, which is the way these usually show up in suggested edits. Instead, you specifically went looking for them and spent "an hour or two" on the project. As everyone else has mentioned, and for the reasons discussed, this doesn't really work. I would suggest to you that your time would better spent asking or answering questions. There are still thousands of questions out there with no answers. Not only will you gain more fake internet points, but you'll actually be directly helping other people. First, I want to say thank you for your contribution to help this site getting better content. I was the one who accept your suggested edit but reject it after see it overwhelming review queue. My reason is same with other answer here. But I think the main problem on your mass-editing is it will bump old lovely post to front page. Why the front page is precious? From some-random-visitor perspective: Front page is our landing page. It would convinced them that our live is live. Some indications how this site was live is: (1) there are new question posted, (2) the question was get answer and (3) the question/answer is edited for improvement. From questioner perspective: Front page is their showroom. It's a place when their question get some attention thus get answered by other experts. From regular members perspective: Front page is place to look new question so they can answer it. Or to look new answer from old question so they can improve or (up|down)vote it. 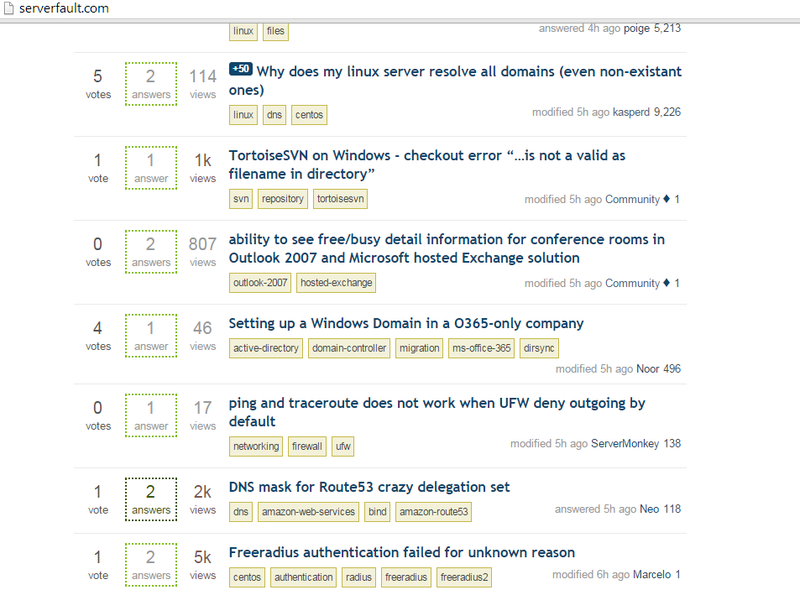 Here the screenshot when front page was 'normal'. You can see (1) there are new question posted, (2) the question was get answer and (3) the question/answer is edited for improvement. You can see that the second one was kind of weird. These are the things that might cross new user's mind when seeing the second front page. Why the old post get bumped to front page again? Is SF doesn't get new question anymore? I posted the question a while ago. And now my question was sinking, kick off from the front page and (maybe) getting no attention/answer :(? If the post was new (< a week), then go ahead and edit it. AND it needs to be fixed, then go ahead and edit it. And if you want to mass-editing, please consider to slow them down (like 2-5 edit pe hour) so our front page still show fresh content. In many cases, it was one mod rejecting those edits (me) and one "normal" user, as far as I know. I reject edits on questions that are old and that don't correct important factual errors (and always have done so, even before getting elected as a mod). The reason for this is that those questions, some of them five years old, will be pushed to the front page again and will lead to actual new questions to be less visible, which I think is a bad situation. I would gladly accept those type of edits if I could avoid pushing them back to the front, but since I can't, I care more for the new questions. As I see that your main account is on StackOverflow: Please remind that we have a lot less questions here and this changes the dynamics on how new questions are seen quite considerable. This "push back" to the front might not matter or even be noticable on SO, but it does here. About the close reason: Until a few months ago, we could reject edits as being "too minor", which I thought was a perfect wording, as the edits I reject with this reason are too minor to justify the push to the front page. For some reason or another, this was changed and the most fitting reject reason left was this one. It's a lousy fit, but it was either this one or a custom typed reason, but I'll use a text snippet for the custom reason in the future to explain this better. I apologize for the inconvenience this caused you, but I hope you understand my reasoning. Our community isn't a fan of minor edits on Q&A's that have run their course, because this bumps them back to the front page. The definition of "run their course" is subjective, but usually amounts to us rejecting edits that do not substantially improve a Q&A that has been inactive for several months. In particular, if it has been more than a year the odds of community regulars declining an edit increases to nearly 100%. This echoes a recent meta discussion, which you can find here. Question from 2012. Very minor edits. Question from August. Passable, might have gotten unnecessarily hammered because the mod was having to chase so many of your edits at this point. Question from 2009. Extremely minor edits. I could continue down the list, but I'm reasonably sure that this trend continues and that the mod in question would have been in full-on bulk rejection mode at this point. I'm not a moderator but have been one of the people rejecting your edits when I noticed them in the review queue, although the review queues require multiple reviewers to completely accept or reject an edit. The default options in reject reasons include the one you're quoting and reviewers are lazy too, a custom reject reason requires additional effort. Sometimes I do bother to clarify briefly, sometimes I don't care. Rejected by me with default reject reason 4 year old post and your improvement was 12 characters to the link of a link only answer that with our current standards should be flagged and possibly deleted. Rejected by me with custom reason "Too little, too late. With 12 votes was already clear enough." on a 4 year old question. Rejected by me with custom reason "Too little, too late." 5 year old question with 9 upvotes so clearly good enough a question at the time. When I see a number of minor edits on old posts (several years old) from a relatively new user with low reputation they are "suspect". When the edit is approved the question is bumped to the front page and for instance questions that were already clear enough to have a number of up-votes, or their already accepted answers don't really need much mor exposure. Others my disagree. And since they approved the edits they actually did. Should something be done about links that are direct to executable content? What should be done about the amazon tag? What is, or should be the “right way” to edit a post for readability/formatting, and usage of the backtick character? But What About Otto? Can we hate that yet?